With only five matches remaining in the regular season, it's all to play for. Whilst the top four look set in stone, just 12 points separate bottom and fifth, says Angus Watt. "This is the time of year when Sarries usually come into their own – with their internationals back and the scent of silverware in the air. There’s still a slim chance for them to pip Exeter to top spot so I expect them to win this comfortably and take maximum points." Could the mighty Tigers be relegated? Might Bristol be in with a chance of Champions Cup rugby? Whilst mathematically possible, I predict neither will become reality, but anything is possible. Manchester has always been a difficult place to go on a Friday night. Sale are a fiercely proud home side and have only been beaten twice at the AJ Bell in this Premiership season. With three wins in their last five (including their Challenge Cup quarter final win over Connacht), they'll be high on confidence going into this one. Harlequins, by contrast, appear to have lost their way a little. They too prospered in their Challenge Cup quarter but this followed two Premiership defeats to Saracens and Gloucester (the latter, by a handsome margin). Are the Quins starting to question their credentials for the play-offs? They are not a side who, in previous years, have displayed the sort of 'grit' that is needed at this stage in the season. There's still a tiny chance for Sale to pip Quins for a top-4 spot. On Friday, they'll go out, all guns blazing, to prolong the dream, however distant it may be. 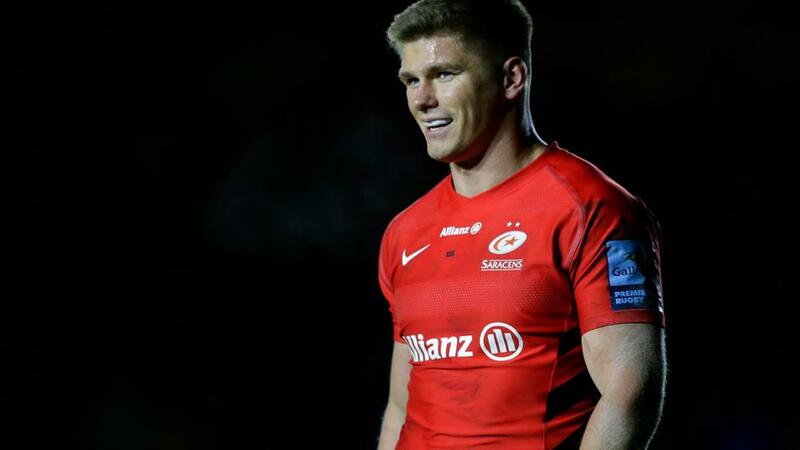 Saracens were a delight to watch against Glasgow, even without their talisman Owen Farrell (who was awaiting the birth of his child), who returns for this game. However, it wasn't so much the backs as the forwards who caused Glasgow problems - they simply couldn't contain their power game, which is ominous for Newcastle. Newcastle are on a good run but always pick up points during the International break as they lose relatively few players. This luxury is over and, inversely, this is the time of year when Sarries usually come into their own - with their internationals back and the scent of silverware in the air. There's still a slim chance for them to pip Exeter to top spot so I expect them to win this comfortably and take maximum points. Wasps can't buy a win at the moment so I struggle to see how they are eight point favourites for this game. They've lost their last four on the bounce - against Gloucester, Newcastle, Leicester and Sale - and have looked defensively porous and unimaginative going forward. They've actually only covered this cap twice all season. This is a great opportunity to pick up some points for Worcester, who desperately need them. Predictably, their form isn't great but they've scraped together a couple of wins in their last five and are good enough to test Wasps here.